I want to inform upfront all prospective readers that this book is NOT a textbook on teaching strategies, it does not offer instructions on how to develop a lesson plan, or how to compose a test, or how to talk to students or their parents. Dear prospective reader, if you are looking for a textbook with a set of formal rules on how to become a professional teacher, this book is not for you (sorry about that); but (a) no one can become a professional teacher after reading just one book (or even a dozen books), and (b) you can easily find on the market a good standard textbook for prospective teachers – there are plenty of them. (c) help them to make the right decision (a.k.a. choice) when something unpredictable happens and a regular textbook has no answer to a question: “What do I do now?”. Some people call this state of mind “a teaching philosophy”. I do not disagree with that, but I would like to note that an individual teaching philosophy does not ever come from reading a book, it develops over years of teaching practice and regular and deep reflection on that practice. But a good book can help to jump start the process of the development such teaching philosophy, and I assure you – this is a good book! Above are two quotes from many said about me by my former students (this link http://www.teachology.xyz/evvv.html provides more examples). I am good at teaching (PhD in Education) physics (MS in theoretical Physics). After getting an MS in theoretical physics from Perm State University (Russia) I almost immediately turned to teaching and researching on teaching. Soon after that I entered a field of teacher professional development (a subfield of andragogy) and then also became a consultant on education techniques and policies and their implementation at an individual, school, district or regional levels, later in a combination with an administrative position. 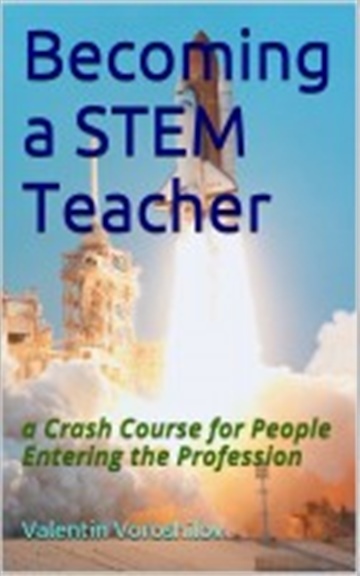 My Doctoral work was focused on tools for igniting school teachers’ sustainable desire to grow professionally and on helping teachers with their continues professional development (BTW, teaching teachers about teaching requires deep and wide understanding of learning, teaching and the teaching subject). In 2002 I won a Green Card and moved to the USA. Having no English (and learning it on my own from scratch) and without any support from any professional network it took me some time to reestablish myself again as an educator: a teacher, a researcher, a writer. Since then I have been teaching Boston University PY105/106 Elementary Physics courses, as well as teaching College Mathematics, Physics and Problem solving at ITT Technical Institute (Norwood, MA), Wentworth Institute of Technology, Bridgewater State University, BU High School Academy. Currently I am also restarting my career as a consultant in the field of teacher professional development. Over the years of my teaching and research practice I have developed numerous math and physics middle-, and high- school and college curricula, syllabi and lesson plans; problem sets, worksheets and hands-on activities. I have an experience in developing websites and using such ones as webct, moodle, blackboard, webassign, masteringphysics, wileyplus; creating new demonstrations, filming movies and posting them online, using Java applets and audience responds systems (eInstruction, Turning Technologies); developing laboratory experiments and writing manuals. I have been and am using different teaching strategies, including different media to motivate students to learn and to help students to master a subject. Throughout all my professional life as an educator I have always had good relationships with my students and colleagues. I always respect all my students and they know it, and they respect me back even if they do not have the grade they would like to have for the course. My years of personal tutoring and teaching provided me with invaluable insights on how people learn and how to help them to master a subject and to become more efficient learner. I have been sharing this experience with many students, teachers, and colleagues. I have strong communication skills, deep understanding of pedagogy, wide teaching experience, and competent in using a variety of educational software products. I firmly believe in a scientific approach to teaching and to research on teaching. A teacher should be able to state specific goals, list the assumptions, formulate the criteria of a success, and establish measuring tools and procedures, and a researcher should be able to do the same as well. I am also convinced that contemporary technologies allow bringing teaching to a new level.